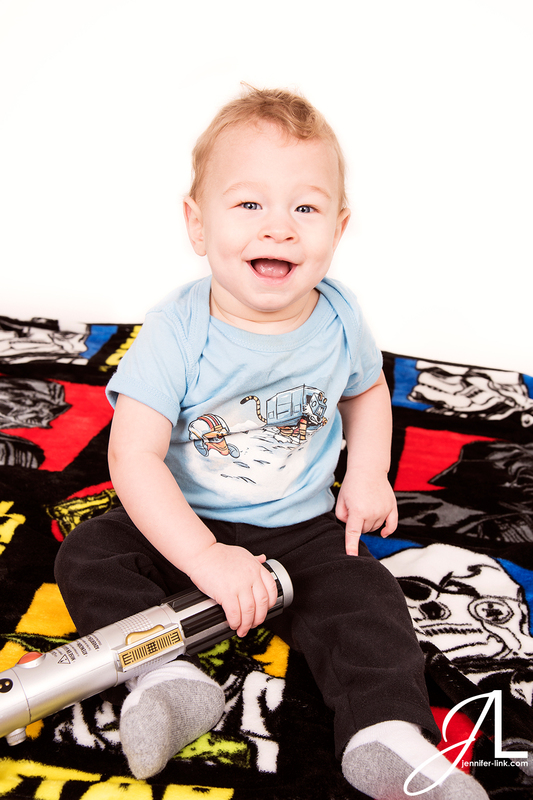 For Calvin’s nine month portraits we had some fun with some Star Wars props. 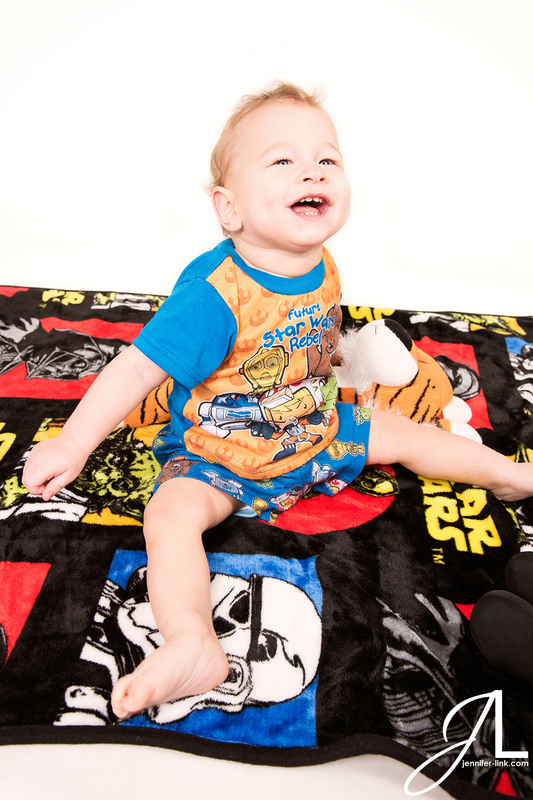 A Star Wars blanket, toy lightsaber, and a Darth Vader stuffie joined the party. 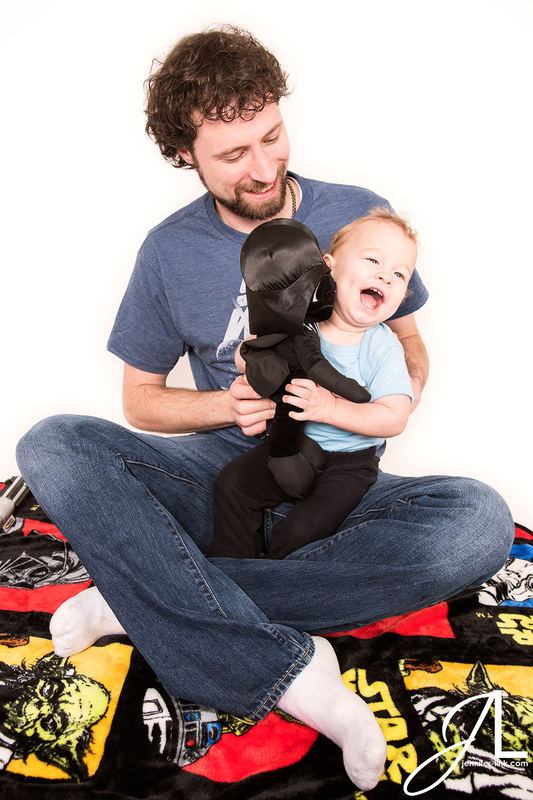 Star Wars is a favorite of Calvin’s dad so he joined in for some photos and made this photoshoot a little father son portrait session.